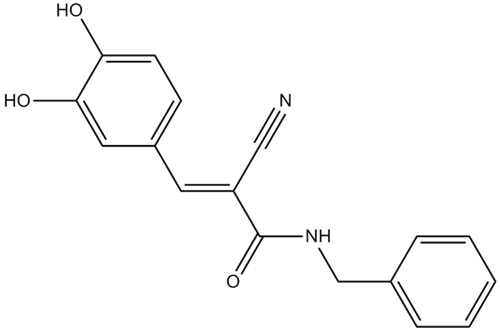 Description AG-490 is a tyrosine kinase inhibitor of JAK2, EGFR, and ErbB2 with IC50 values of ～10 μM, 0.1 μM and 13.5 μM, respectively. AG-490 is an inhibitor of tyrosine kinases . As a member of the tyrphostin family, AG-490 is reported to have inhibitory activity against many kinases. 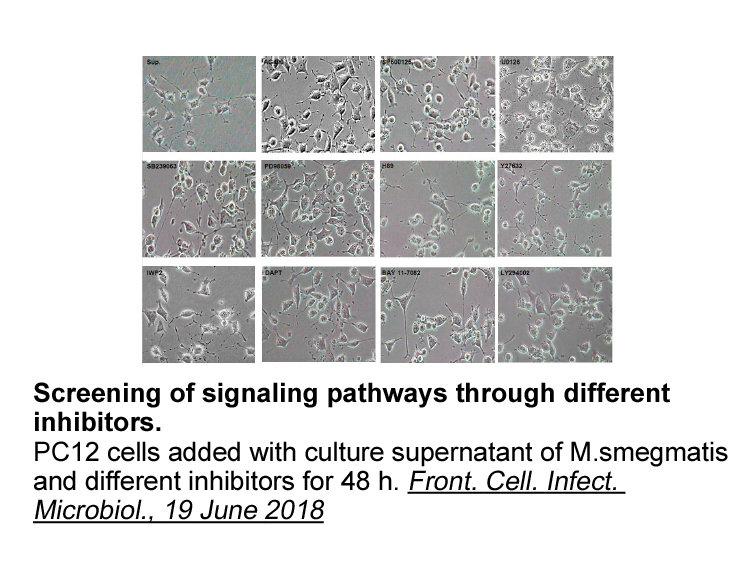 It can inhibit the hyperactive JAK2 in B cell precursors of ALL patients, inhibit cytokine-induced activation of JAK2 in eosinophils and suppresses the activation of STAT3 in mycosis fungoides-derived T cells. 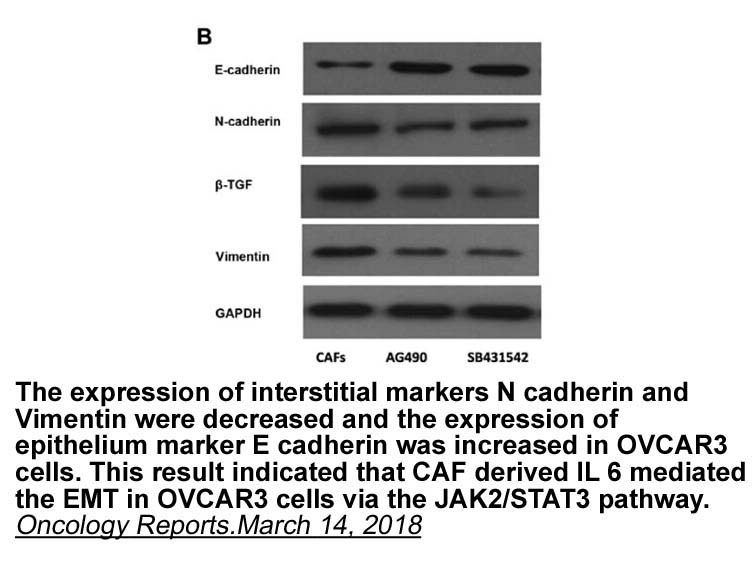 AG-490 is also found to target JAK3 and its downstream STAT and MAPK signaling pathways. In the IL-2-dependent T cell line, D10, AG-490 suppresses IL-2-induced cell proliferation with IC50 value of 25μM without affecting IL-2R chain expression. It also inhibits IL-2-modulated phosphorylation of STAT5a and STAT5b with IC50 value of 50μM-70μM. Moreover, AG-490 reduces IL-2-induced DNA binding by 78%, 65% and 65% for STAT5a/5b, STAT1 and STAT3, respectively. All these show that AG-490 may provide a beneficial therapeutic by suppressing immunopathological states . Wang L H, Kirken R A, Erwin R A, et al. JAK3, STAT, and MAPK signaling pathways as novel molecular targets for the tyrphostin AG-490 regulation of IL-2-mediated T cell response. The Journal of Immunology, 1999, 162(7): 3897-3904.